Have you ever seen status updates from your friends, notifying you of where they were, what music they just listened to, and what article they just read? Moreover, are you one of those people who are unknowingly posting this information? If you do not want Facebook to share information about you at all, you lose access to all of them. You do this by turning off all apps in the Apps, Games and Websites section of your privacy settings. The maps feature is something which you may have overlooked when you got the Timeline feature. It illustrates where you’ve been in photos, where you’ve checked in, and life events. The maps section is one of 4 sections at the top of your profile. If you look to the right of the 4 sections there is a section, which appears to be blank, along with an arrow button. 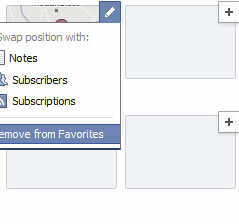 Click on that arrow button and you’ll be able to remove the maps from your favorites. The maps will still appear if you go to your photos. You can make sure that your map is free of photo-based tagging by editing albums that you’ve created (both the albums themselves and the photos within them). You are attending an event in your hometown and Facebook can use this information in its “sponsored stores” section, telling your friends what you like and where you’ve been. Unfortunately, you can’t do anything about this. Unfortunately, most users click the very visible “Okay, Read Article” button and forget to change the “Public” to “Only Me” option, which will keep you from sharing articles as you read them. Although Facebook will never let you know who is looking at your profile, Facebook still keeps track of profiles which you frequently visit. This is why some people are often in your newsfeed, apps, and/or advertisements, while others are rarely seen. RunKeeper is an app which you can integrate with Facebook. However, just because you are making everything private on Google, does not mean that the app itself is doing its job. A lot of RunKeeper’s users are pointed out that their name, exact routes, times, and distances are being indexed by Google. Although RunKeeper fixed the problem, it still indexes results for users which don’t know of the issue. 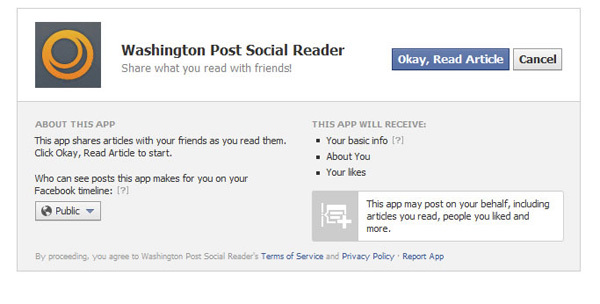 The overarching point is that Facebook apps have privacy issues beyond Facebook sharing. Fitbit, another Facebook app, indexed your sexual activity in Google before media outlets started reporting the issue. Nickolay Lamm is an internet marketing specialist who updates InventHelp Scam Watch.